This Saturday is St George’s Day, and Carlton Brass will be helping the great city of Nottingham celebrate this event with a selection of music. 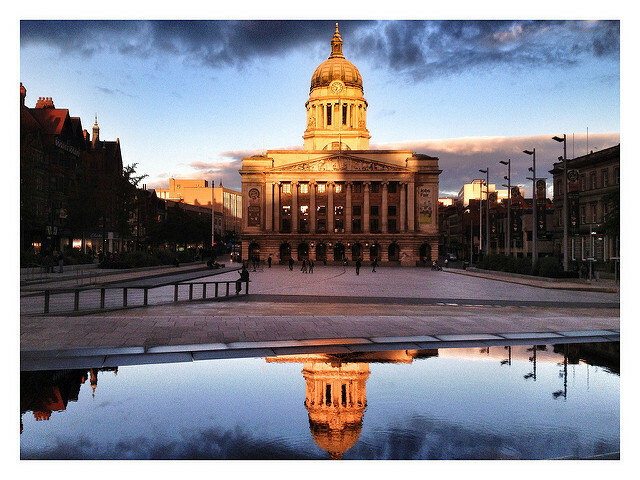 We’ll be playing two sets in Market Square between 2PM and 4:30PM – full details can be seen at the Nottingham Post. Do come along to listen. The second set will be mostly patriotic ‘proms’ music, so don’t forget your St George’s Crosses.